إذا كنت تبحث عن فندق بموقع جيد في سوفا، فقد وجدت ضالتك في City Private Hotel . يمكن من هنا للضيوف الاستمتاع بسهولة الوصول إلى كل ما تقدمه هذه المدينة النابضة بالحياة. يوفر الفندق بفضل موقعة الجيد وصولاً سهلاً إلى أهم معالم المدينة.
. إن الخدمات التي يقدمها City Private Hotel تضمن للنزلاء إقامة مريحة. يمكن للنزلاء الاستمتاع بالميزات التالية: خدمة الغرف على مدار الساعة, مكتب الاستقبال على مدار الساعة, صف السيارات, خدمة الغرف, التوصيل من وإلى المطار أثناء إقامتهم في هذا المكان الرائع. في الفندق غرف نوم يتجاوز عددها 22، كلها مجهزة بعناية وجمال وبعضها مزود بـ غرف لغير المدخنين, مكيف هواء, شرفة/ تراس, ستائر التعتيم, مروحة. كما أن مجموعة الخدمات الواسعة الموجودة في الفندق لضمان راحتك تترك لك الكثير من الخيارات لقضاء وقتك أثناء فترة إقامتك. إن City Private Hotel هو خيارك لخدمة الفنادق الراقية في سوفا. A cheap place to spend a night in the center. Close to the shopping mall and supermarket and the central station. Great staff. Very helpful. They dont have hot water and the place isnt very nice.. The best sheets are weird and the pillows are very uncomfortable. 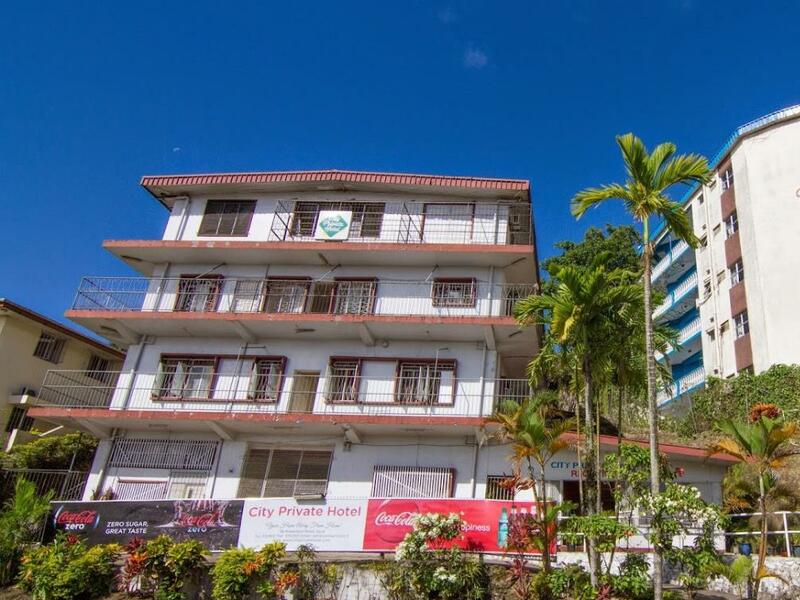 City private hotel is in a good location close the market and central suva. It has a big balcony overlooking the market, parking lot, bus station and cruise wharf. The taxi is close as well, but you’ll get taxis anywhere in Suva. 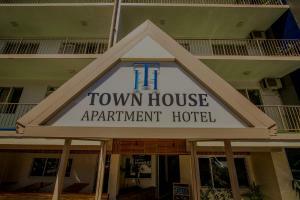 This is best if you are really only looking for a quick place to rest from being in downtown suva. Sometimes it was noisy outside so I had trouble sleeping. The facility was pretty outdated, but for the price you can’t be picky. Also I got upgraded from a double room to a large private bedroom upon arrival, and the staff were very nice. The staff were very nice. Wifi can only be connected on the 1st floor and it was 5FJD/24h, the network was stable. The bed sheets smelled a bit, the shower water was very cold, room services were once in two days. The only issue was that the other lodgers were quite noisy and sometimes disturbing. Apart from that, it was fairly reasonable. If you want to find a cheap place for a short stay near the city center, it is okay! But for long stay travelers, you might want to check out the place before you book the place for your whole trip. Very well located minutes walk to central market and centre of town. Very good value if book on-line. However a bit basic (eg no hot water, communal fridge) and tired,only basic TV -would not suit the fussy type, but suited me as a single guy. My room could sleep 4. Will not recommend friends since the hotel does not have hot water. It's terrible having showers with extremely cold water. I wouldn't recommd this hotel to anyone traveling from international, for local is okay , rooms are dirty, water dripping from toilet and shower, fans making noise, AC not working, bed sheets are dirty with blood stains with bed bugs couldn't sleep, next door people drunk fighting and screaming at mid night and can go out as group of men sitting out side underneath tree and drinking.not safe as several times they came up to me asking for money and it's very dangerous at night. We choose this hostel just for the cheap price. We didn't spend a really good night because It was too noisy. The location is good. I think Agoda's promo was a bit tricky 50% discount but good City Private agreed to what I insisted else it would be a Consumer council issue. If I were a tourist, there was a rip off because in reality I booked for a basic double room and they were giving us a budget room with shared toilet and fan. In that case it is not a 50% discount. The good thing we got is that we were placed in an aircon room with toilet and bath that really is a room with 50% discount - just because as a local I am familiar with the hotel rates. Pros - cheapest place in suva Cons - there's a reason for this... The room was terrible. Not clean, the most basic room you could ever get. The windows were broken, the mattress was a piece of foam, there was no hot water - hair wash was fun. Brrr. No towels were provided and no wifi - caused an issue as we had to book a room for the next night. Outside the actual door there was people sat on the floor talking and shouting from the moment we arrived to the moment we left - not a very nice sleep. Part of us was frightened to sleep but we were do exhausted from travel we has to sleep and hope for the best. We will definitely not try to budget next time we are in Suva as it definitely isn't worth it. Can't fault the staff they were very friendly and helpful letting us borrow their phone. Very happy and smiley :) but if we had more than one night booked here we would have left immediately. Nice staff and front office. My room on 3rd floor, had to climb stairs mo elevator. They don't gave a towel. Great location, near from harbour and bus terminal. A lot of other guest are locals with family, so it came very noisy at night. You can use kitchen on 3rd floor. Lets start with only two good things about this hotel. 1) the location right in the centre of Suva and walking distance from all the city sights 2) nice staff But apart from this, this hotel is a dump. "Rooms" are like cardboard boxes with paper thin walls so you can hear everything. There isn't a lot of sleep. The "room" is tiny with space for just one double bed and a small wardrobe. No windows, high ceilings - it was a bit claustrophobic even for me who doesn't normally suffer from it. Musty smell in the room. Room and hotel overall were not too clean. Bedlinen was stained so I had to use my sleeping bag. A lot of dust everywhere. The room was infested with mosquitos although there are no windows in basic room, so they must have entered through the holes in the door. No mosquito net or similar. I would advise to pay a little extra and find another place to sleep. So places in Suva are expensive and this was the cheapest place I found. The room is categorised as a basic double...it is basic, the "rooms" are in fact carved out of one big one using plywood, so are only in fact nominal. Because of this there's no ventilation so you get mould on the ceiling and upper walls...which gives that damp smell. Bedding is I think clean but we'll used so looks discoloured...I stayed away from the pillows! I found it to be fine for a couple of nights, the big problem is the noise - which came from the staff! Shouting, laughing, music, and door slamming through the early hours. The owner did seem to take my feedback seriously though so hopefully that will improve. Building is old but bathroom facilities kept pretty clean and functional. The location is good for town and the bus stop. Also the walk in rate was a lot higher than agoda and they didn't offer to match it so had to book it while standing in reception...lucky I had a data package! Stairs only so not good for wheelchair or elderly. This is my third time here andbooked again after christmas. Has all you need here and if not it is a 2min walk to the centre to grab what you need. I love it here. It is my home away from home. Vinaka. Paid for air-con and hot water and didn't get any disappointed and do not recommend.